We supply WHOLESALE RAGS, BULK RAGS, New and Recycled WIPING RAGS from suppliers throughout the USA including Microfiber Towels. We believe in offering quality wiping cloths in bulk to our customers at wholesale prices. What does everyone do everyday? The answer is clean. There are several types of cleaning, therefore let's go over them. Rain storms and hurricanes cause major flooding. Fires have massive debris and leave such a mess to clean up. Oil spills and so many more to list. We can handle all your large cleaning projects at the volume that is necessary for any of these disasters. When a disaster happens, we stay busy. It's unfortunate but it's true. People in general don't realize the importance of cotton. Cotton has so many abilities as we have described above. Microfiber is great too and known for being able to hold seven times it's weight in water. In the end though, cotton wins the price point for throw away wipers. Just a little FYI. Price points for the numbers will show you get more for your dollar using cotton rags. So recycle when you can because the Country needs your help to stay clean. So remember RagsCo for your next bulk order of wiping rags, cotton rags, shop towels, cleaning rags or microfiber towels. 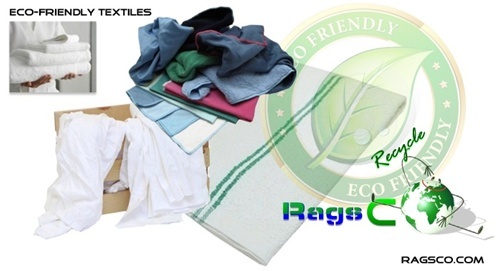 If you are looking for a wholesale supplier of premium quality microfiber cleaning cloths or towels please visit us at RoscoMicrofiber.com which is our wholesale Microfiber online store.